These eco-friendly towels use less water when washed and dry quickly. 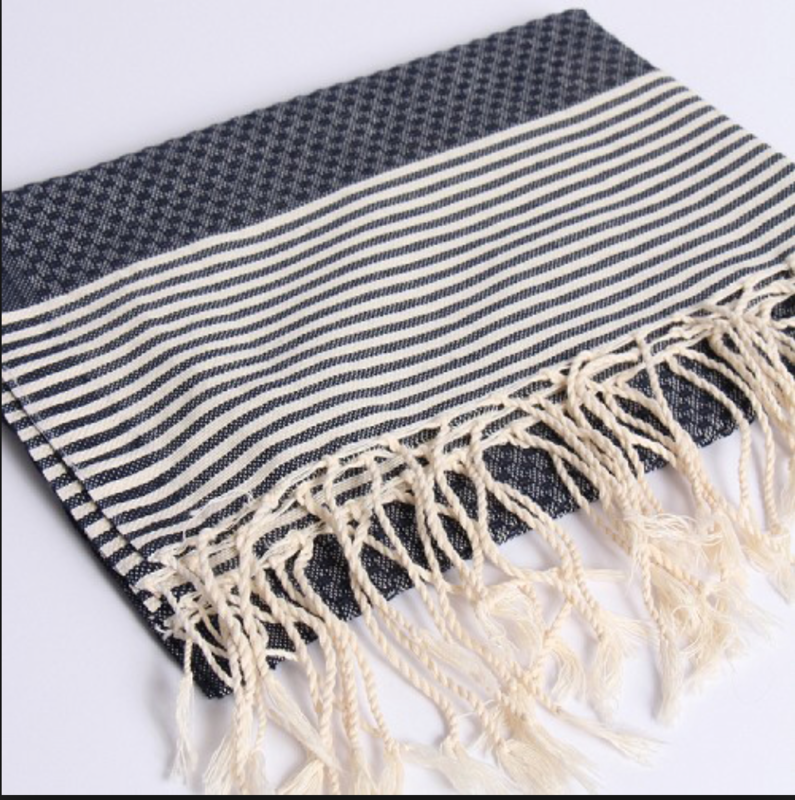 The hand loomed Fouta towels are made of 100-percent pure cotton canvas , the same way they were manufactured a thousand years ago. As hammam towels they were originally used in the baths popular in Tunisia, Morocco and Turkey, the ancestors of today’s SPA. Use it as a tablecloth, bed throw, sofa throw, bath towel, or at the beach as a beach towel, for its absorbency and light weight.